As we have already reported, yesterday Xbox One was officially announced. The next-generation console from Microsoft promises to bring the new experience of home entertainment to every living room all over the world. 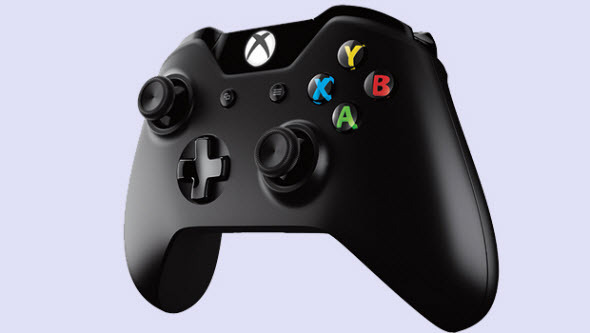 The main idea of Xbox One is to combine different types of entertainment in ultimate console that allows playing games, watching TV, LiveTV or movies, listening to music and even communicating via Skype. Using it, you will be able to create an individual center of entertainment just opposite your sofa. However, the full list of these advantages will be available only for USA gamers, and other regions will be using it mostly as a gaming console. Hem, so do we really need to pay for this additional functionality? The decision is up to you. 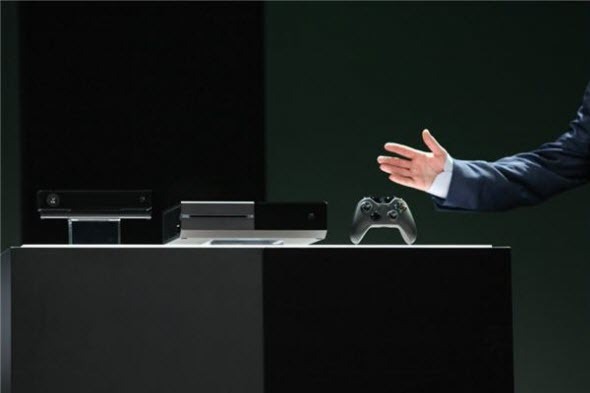 The technical characteristics of Xbox One are pretty similar to the ones of PS4. Here you will also have 8-core AMD CPU, 64-bit architecture and 8 GB RAM. Also the console has Blu-Ray drive, 3 USB 3.0 ports, HDMI In/Out and 500 GB of memory. Also you will be able to store your data or new games in the cloud. Kinect will get a 1080p HD camera, special Time Of Flight (TOF) technology and advanced microphone. The controller is known because of its impulse triggers, integrated battery compartment and a lot of other small innovations. The developers are sure that Kinect in new Xbox One will become your favorite and the most-used feature. It was greatly improved and now can recognize even the slightest movement of wrists or shoulders, the heartbeat and facial expression. Using Kinect, you will be able to control your Xbox One, switching between various console's functions and, of course, play exclusive Xbox One games. Xbox Live will get the dynamic system of achievements that will be being changed during the game. Also Microsoft assigned more than 300 000 servers for Xbox Live to make it the greatest gamers’ cloud. Microsoft promises that during the first years after Xbox One release 15 exclusive games (8 of them are brand-new) will be brought to gamers. Among them there are Quantum Break from Remedy, Forza Motorsport 5, Call of Duty: Ghosts and several sport projects from EA. The new console promises to be the best platform for revolutionary experiments with physics and graphics. To see its abilities, watch EA Sports new engine trailer that was also presented yesterday. The other games that are going to be developed for Xbox One are: new Thief, Assassin's Creed 4: Black Flag, Battlefield 4 and Watch Dogs. Xbox One release date hasn't been announced officially, but the console is going to the shops till the end of this year. 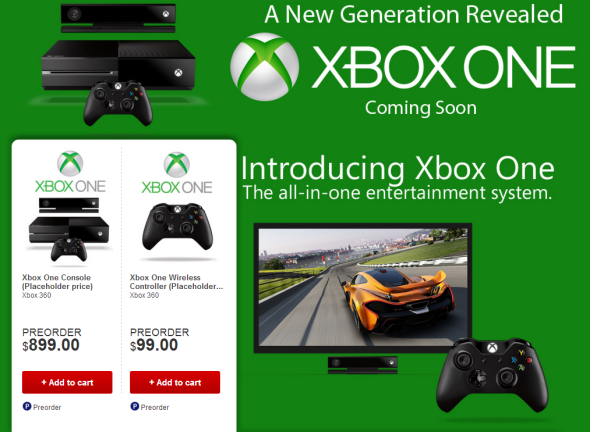 Its price is also unknown, although, it is rumored that for Australian gamers Xbox One will cost about $900.